Michelle Iorio joined Disability Rights Advocates in October 2015 as a Staff Attorney. After receiving her J.D. 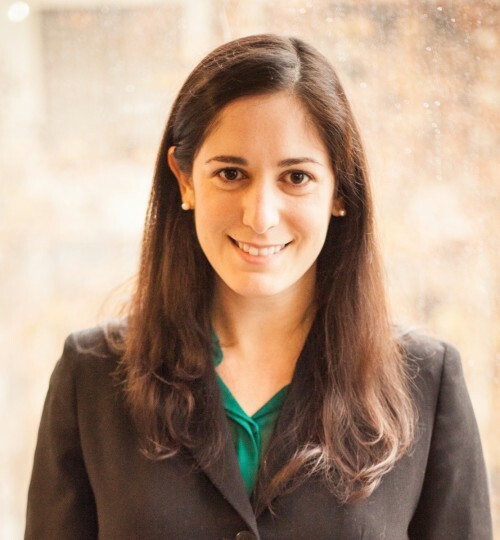 from Berkeley Law (Boalt Hall) in 2013, Ms. Iorio was a fellow at the Oakland nonprofit UnCommon Law. There, she worked on a federal class action lawsuit on behalf of life-term prisoners in California that successfully challenged the use of psychological evaluations at parole hearings. Ms. Iorio also litigated numerous criminal appeals in state and federal court. Prior to joining DRA, she continued this work as a solo practitioner. Ms. Iorio received her B.A. degree from Brandeis University in 2007.